Call us today for auto detailing services! When searching for that perfect vehicle at an affordable price, Western New Yorker’s know the place to look for top quality used cars is Lar's Auto Shop & Used Cars. Lar's Auto Shop & Used Cars is located at 117 Route 16 in Holland, NY, only 30 minutes south of Buffalo. Just take the 400 south to Route 16 and Lar's Auto Shop& Used Cars will be on the left just outside of the village of Holland. When you choose us for auto service, you know you are receiving the knowledge and expertise of well trained technicians. We can complete any repairs on your vehicle from major to minor repairs. Our team is committed to providing our customers quality work at competitive prices. Our experienced team is committed to getting your vehicle back on the road quickly. Our knowledgeable mechanics have experience working with all vehicle manufacturers. Our team uses the newest technology and the highest quality parts to repair your vehicle. Stop in today and browse their large selection of used cars or give them a call today. If you need a state inspection, Larry will perform a complete New York State Inspection on your vehicle. Lar's Auto Shop & Used Cars will provide you with a free estimate on any automotive repair service work major or minor. We offer the highest quality used cars! 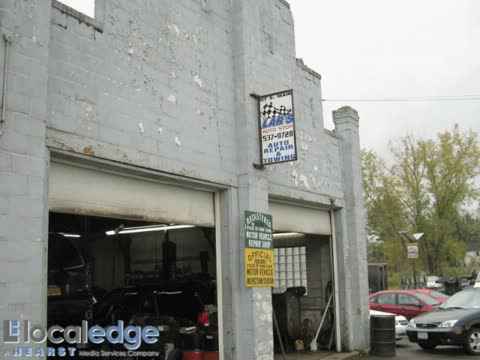 No job is too large or too small for Lar's Auto Shop & Used Cars. The automotive repair service shop is open Monday thru Friday from eight AM to six PM and the used cars lot is open the same hours plus ten AM to six PM on Saturdays. Choosing a used car in Holland, NY can certainly be a daunting task. Aside from finding a car that works for your needs, you must consider the quality of the vehicle, especially under the hood. That being said, this is one aspect of the car-buying experience that can weigh heavily on your mind which is why Lar's Auto Shop & Used Cars aims to simplify it as much as possible. We thoroughly inspect every used car in order to ensure the utmost quality. Lar's Auto Shop & Used Cars accepts all major credit cards, debit cards and personal checks for payment on all automotive repair service work. Lar's Auto Shop & Used Cars is locally owned and operated by Larry Havens and has been serving Western New Yorkers since 1986. Larry always keeps a full lot of top quality used cars at competitive prices that will fit your budget. Lar's Auto Shop & Used Cars has a large inventory of used cars, including such top names as Chevrolet, Ford, Honda, Toyota, Buick, Hyundai and any other make or model you have been searching for. Pick up the phone today, dial 716-474-9683 and ask Larry about the current special. Proudly serving Holland, NY. Lar's Auto Stop & Used Cars provides automotive repair in Holland, NY. Our technicians are fully trained and able to provide major and minor repairs. We also have an inventory of used cars available. We also offer complete, professional auto detailing. We provide towing services if you can't get your vehicle to our shop. We also provide New York State Inspections!